EVE Vegas 2018 – Player Speaker Submissions Are Now Open! If youd like to discuss the contents of this dev blog, head on over to the feedback thread on the EVE Online forums! It’s that time of the year again – EVE Vegas is fast approaching. If you’re coming along and want to join the line-up of player speakers this year, then here’s more information on how you can become part of what is going to be the largest EVE Vegas ever! There’s a strong tradition of EVE Vegas being a venue where capsuleers present together on the same stage as the EVE Online Development Team, covering a wide range of topics from all kinds of playstyles and walks of life in New Eden. We’re happy to announce that once again, we’re now accepting proposals for player speakers, so if you’d like to be a part of the line-up, you’ll need to shoot us an email as soon as you can! Your full name and contact phone number. A brief outline of your talk proposal (Feel free to submit more than one proposal). The proposed duration of your talk (This can be anywhere from 10-40 minutes). All player speakers will receive a complimentary speaker badge for EVE Vegas 2018, and a ticket to the Pub Crawl. Those who’re selected to present who’ve already bought their ticket to EVE Vegas will of course have the full value of their ticket refunded. We have already started to work on the speaker schedule for the event, so please send us your proposal as soon as you have an outline ready. The deadline for proposals to reach us is Friday, August 31st. Those who’ve been selected to present will then be contact and informed by Friday, September 7th and can start preparing their content. 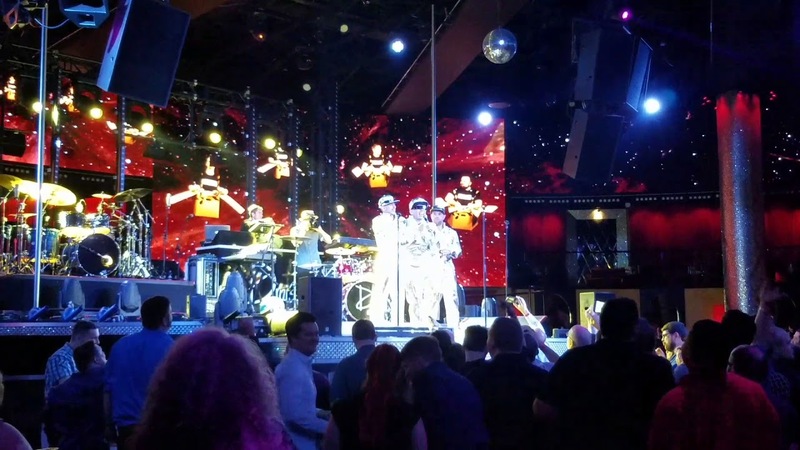 EVE Vegas is our annual party in the desert and is known by many of our players as “the Fanfest of North America”. A celebration of all things EVE Online, the event is designed from the ground up to provide a chilled out, laid back atmosphere with plenty of awesome spaceship content from both Developers and Players. It's also an epic party where you can meet your wingmen, corpmates and alliance brethren, and raise a glass (or ten) to all the spaceship violence you've engaged in together over the years. This year the event will be hosted from October 19th – 21st at The Linq Hotel & Casino, right on the Las Vegas strip. If you’re intending on coming along this year, you should be sure to book your tickets as soon as possible, as we’re closing on being sold out with more than 900 tickets gone already. At the current pace, the event will sell out before it kicks off, so be sure to get your tickets as soon as possible to avoid disappointment! EVE Vegas 2018 is already the largest North American gathering of capsuleers in the history of EVE Online. Don't miss out on the chance to be a part of this epic celebration!